GARDAÍ WILL DISCUSS the closure of stations, garda vehicles, and pensions at their annual Garda Representative Association conference today. Damien McCarthy, GRA president, said the Government plan to close more stations next year is “ill-thought out and will hit crime-fighting”. He said that earlier this month, Justice Minister Alan Shatter “shocked” the Association of Garda Sergeants and Inspectors by announcing a second wave of station closures next year. He noted there is a “palpable fear of crime” in both urban and rural areas, and said the presence of local gardai is vital to protect the vulnerable and reassure the public. The theme of this year’s conference is: Station closure – community exposure. The recent increases in burglary have spread the fear of crime, particularly among the most vulnerable. The stress particularly affects the elderly and those living alone in rural Ireland. The Garda Representative Association (GRA) are concerned that gardaí will not be in a position to continue the first class service that the public deserve and what our members are committed to achieving. The conference will urge the Minister to reconsider “before irreparable damage is done”. McCarthy said that there have been no new garda recruits for three years, and retirements are continuing. Crime increases when police numbers decrease. Crime increases in a recession. Crime increases when police morale is lowered. The GRA will be illustrating how this is impacting upon the police service, as well as a lack of resources making members’ workload “too high” – and a lack of basic policing tools such as effective patrol cars which “further denigrates the service they can provide”. Garda morale will also be highlighted and McCarthy notes that the pay cuts from subsequent years “have taken their toll”. A number of motions will be discussed at the conference. They include a call to purchase new vehicles instead of servicing and repairing end of life vehicles; condemning the “lack of proper investigation of vexatious complaints” by the Garda Siochana Ombudsman Commission; and proper facilities and policy when dealing with patients with mental health issues in Garda custody or care. They will also discuss a review of current policy on the safety and security of the station orderly in Garda Stations in rural districts, while one motion demands that Government re-enter into negotiations on the recent emergency provisions of the pension legislation. The legal system does not protect gardaí from vicious assault and the sentencing of convicted criminals needs to be fully implemented – gardaí have suffered from the repeated mistakes and flaws within the criminal justice system; gardaí feel angry and betrayed – and the GRA will be calling for immediate reform. The 34th annual conference is taking place in the Shearton Hotel, Athlone. Email “Gardaí say plan to close stations will hit crime-fighting”. 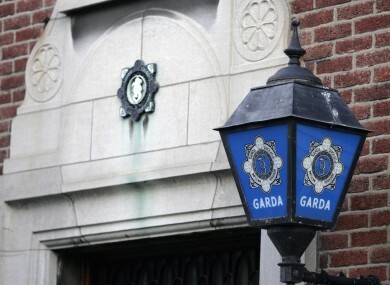 Feedback on “Gardaí say plan to close stations will hit crime-fighting”.